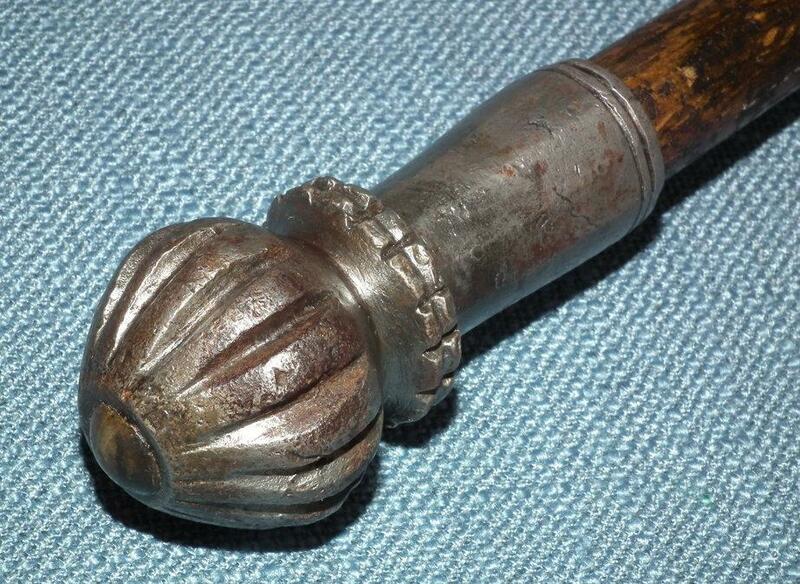 Antique, 16th-17th century, Turkish Ottoman or Hungarian combat mace, “Topuz” - Buzogányok". 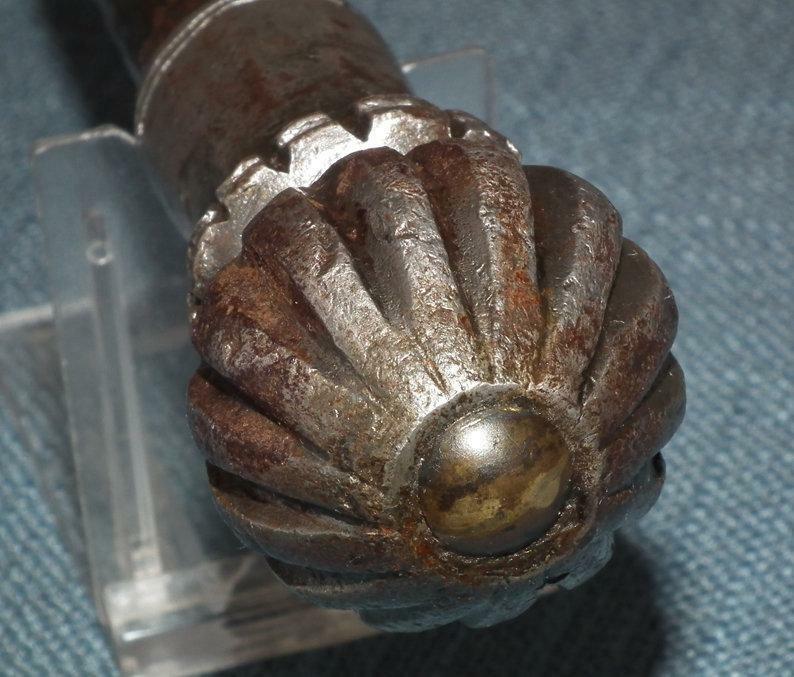 DETAILS: A hand forged, compact, bulbous iron head formed with an arrangement of robust flanges, surmounted by domed brass central finial, with an integral socket of octagonal section, with wooden haft. 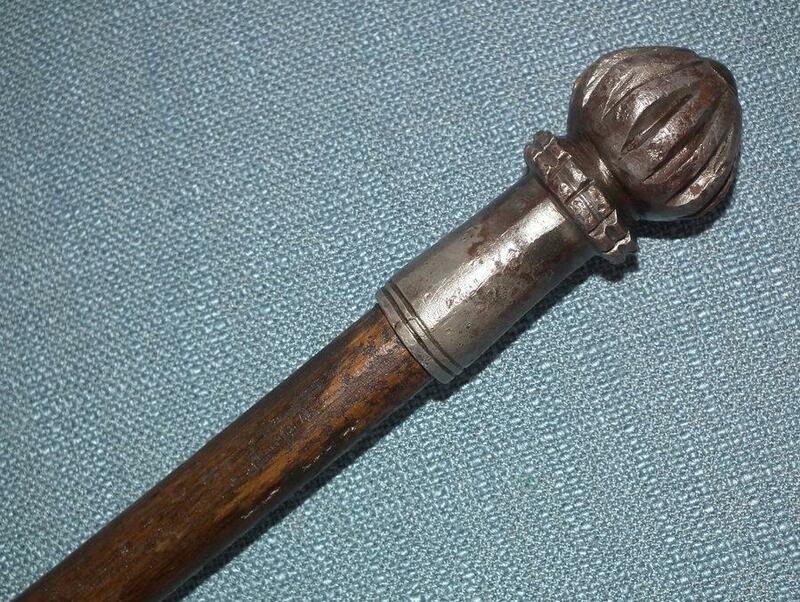 The mace was established as an Ottoman symbol of office from at least as early as the 16th century, carried by senior officers in war. 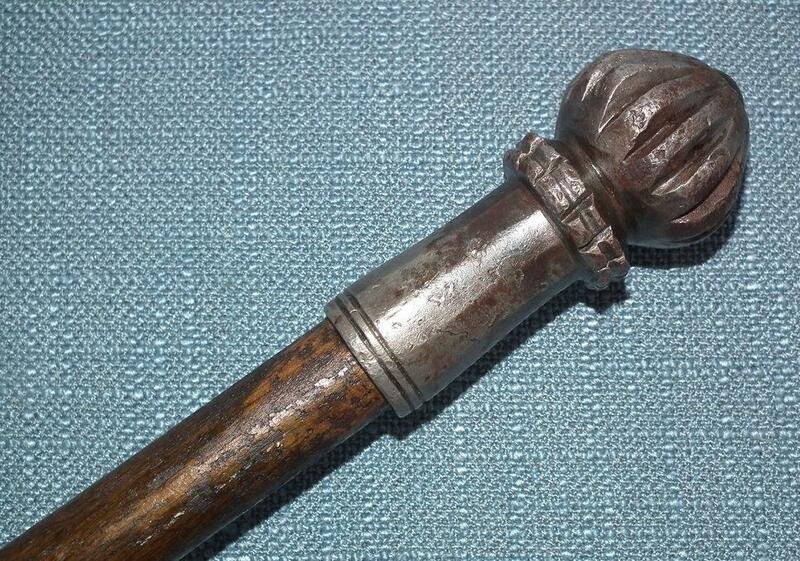 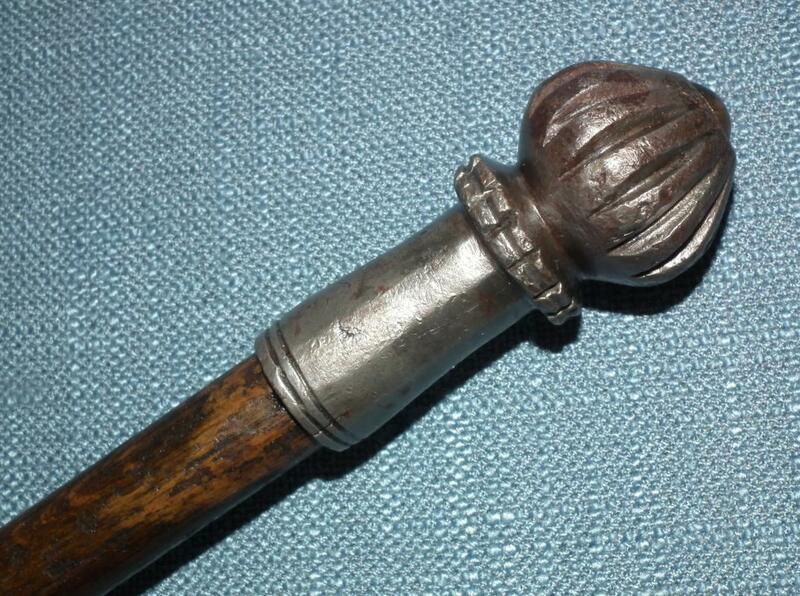 In eastern and central Europe, a flanged mace was bared by a colonel as a symbol of rank, and a sign of the officer's authority. 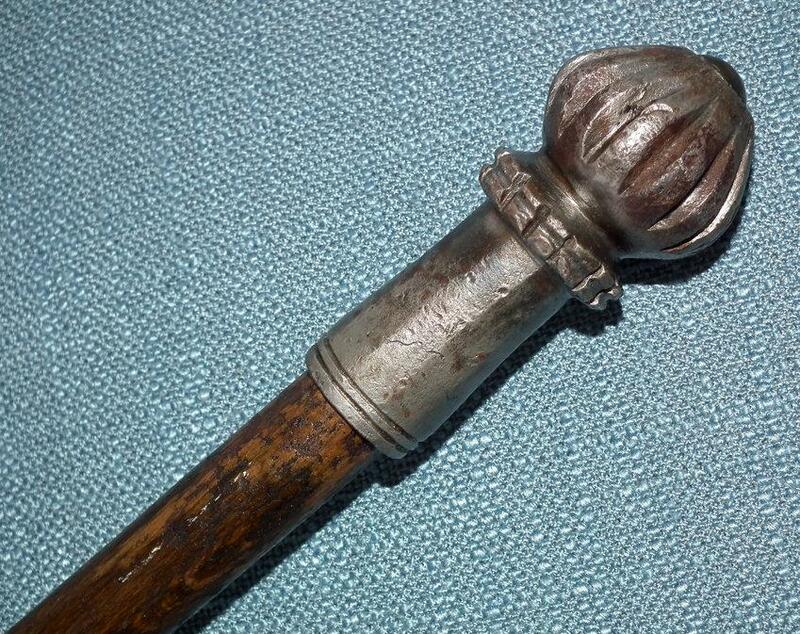 CONDITION: Showing the age and usage with a dark patina, the wooden haft appears not to be from the 17th century but is most likely later replaced as it is common in this type of weapon. 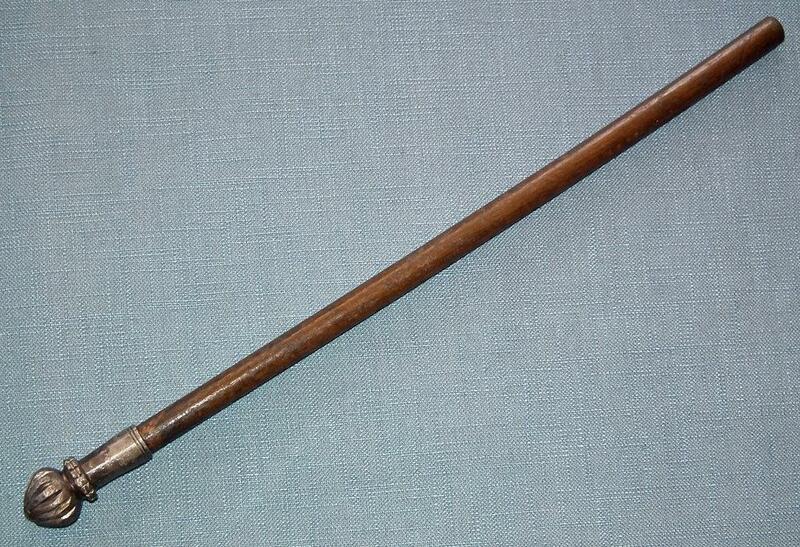 MEASUREMENTS: Overall length: 54 cm (21.26 inches). 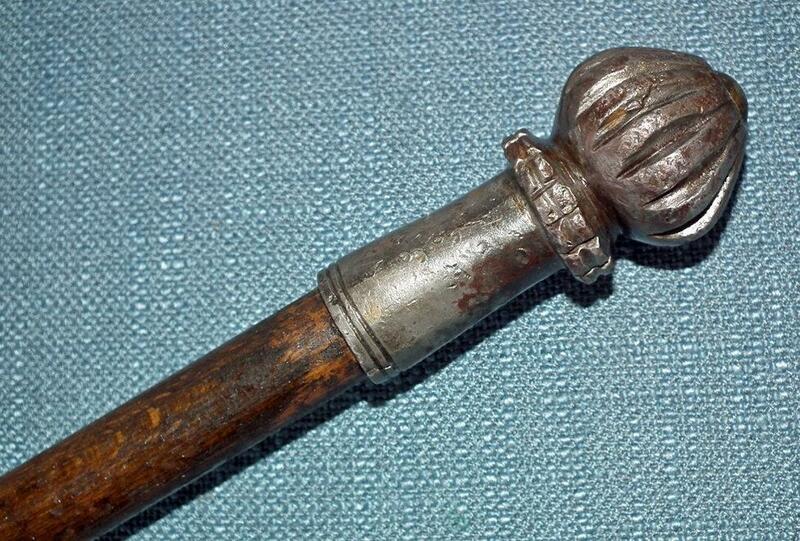 Length of the iron head including socket: 7.6 cm (3 inches).